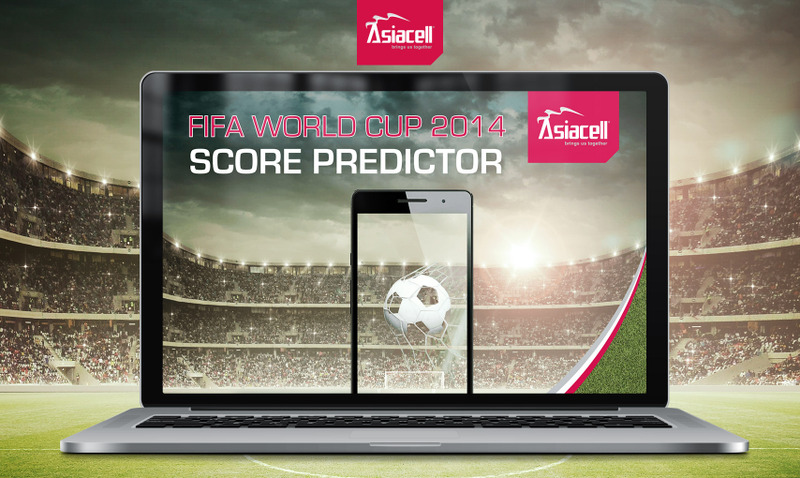 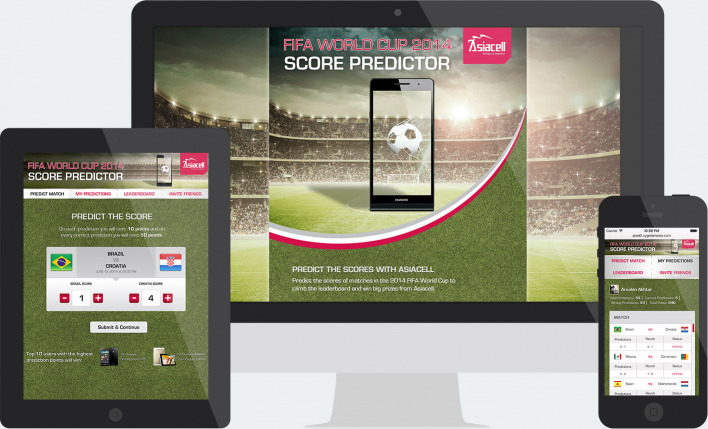 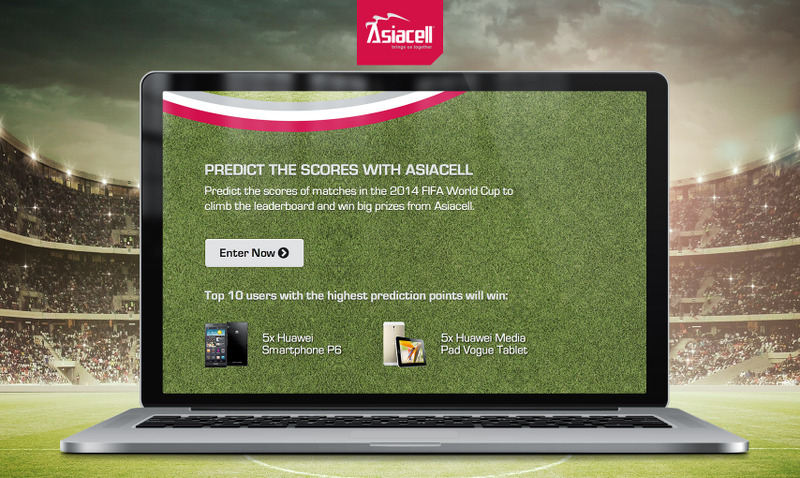 For the 2014 FIFA World Cup, Asia Cell wanted to give their fans an exciting opportunity to play against their friends and compete for prizes. 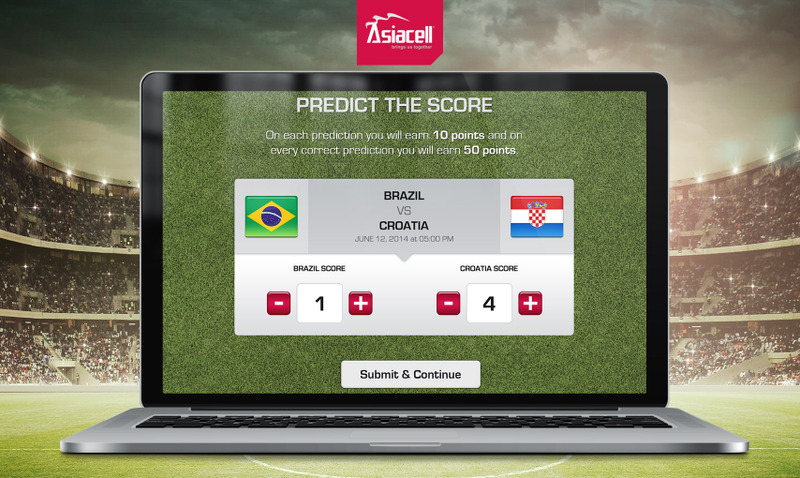 We built a cross platform application that allowed people to predict the scores of upcoming FIFA World Cup matches and climb the leaderboard in order to earn prizes. 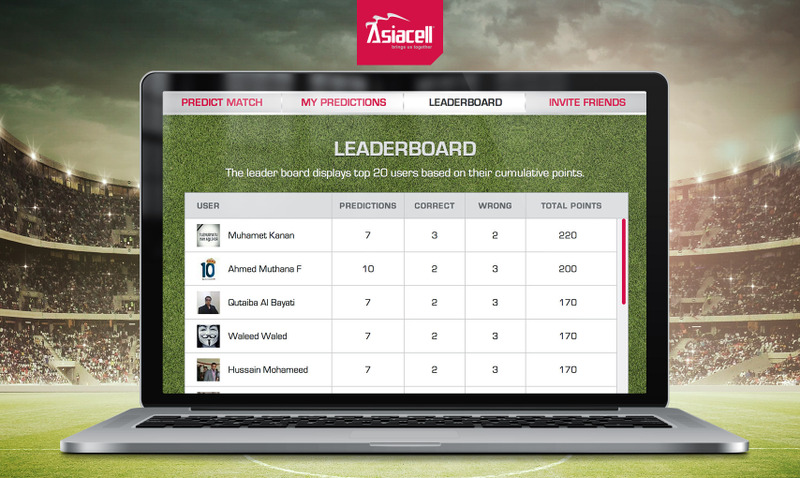 They could brag about their results or challenge their friends. Over the course of the World Cup, thousands of predictions were made on the matches and the Asia Cell branding was spread to tens of thousands of people over Facebook.